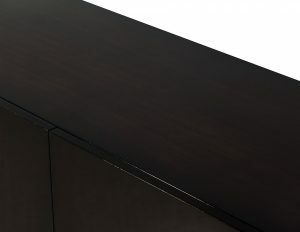 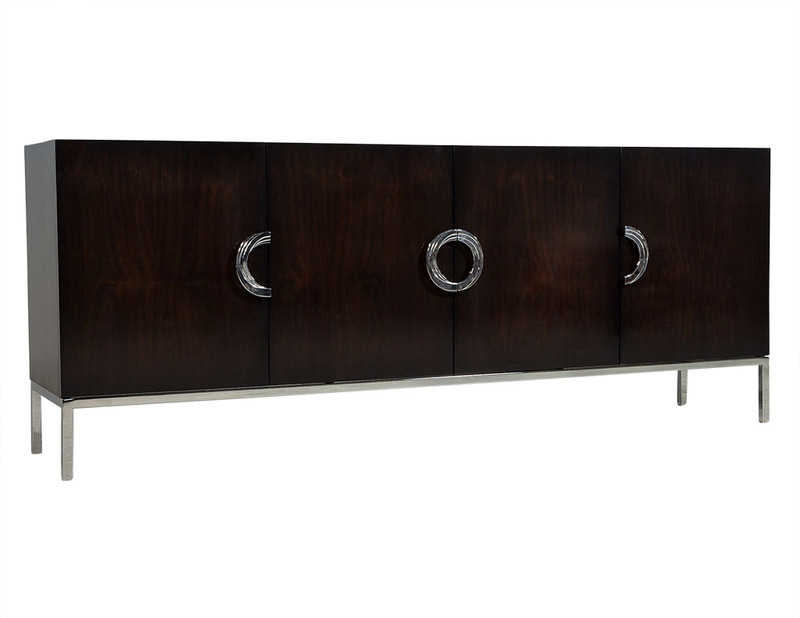 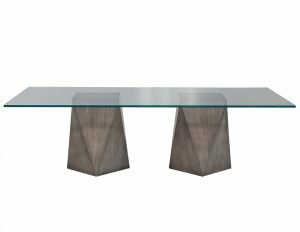 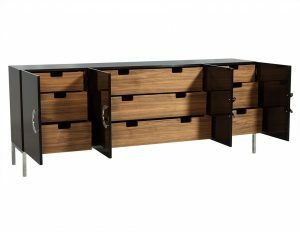 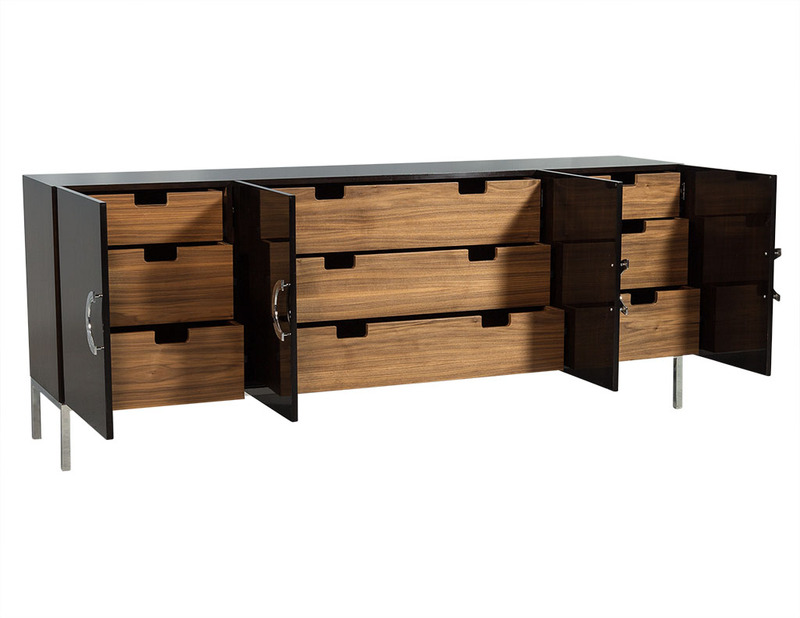 Carrocel Custom, stunning rift cut walnut sideboard hand polished in a rich brown custom finish. 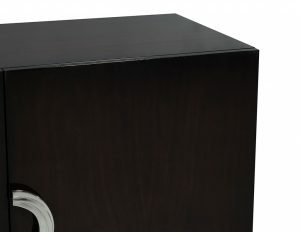 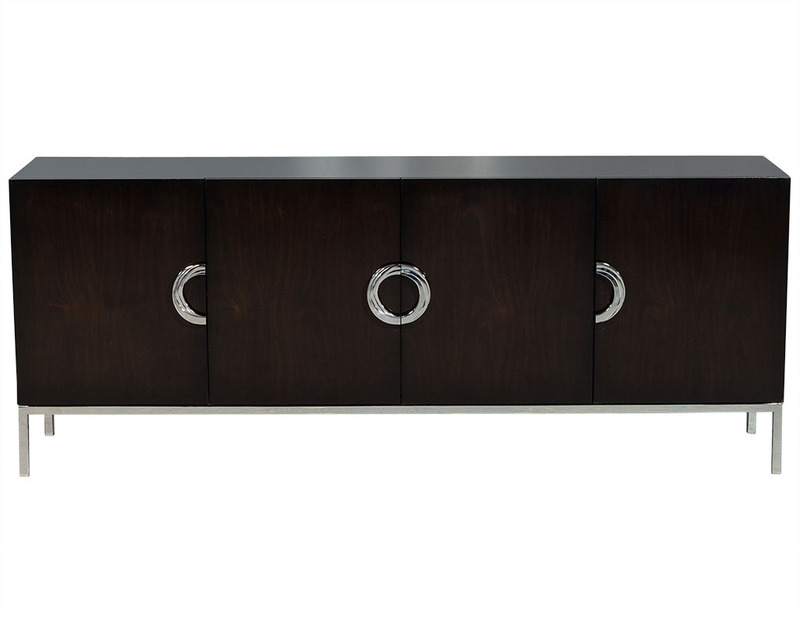 This cabinet has 4 doors with polished stainless steel Semi-circle hardware. 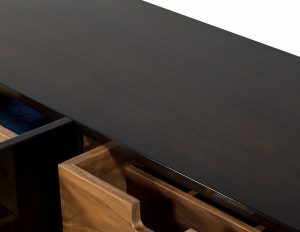 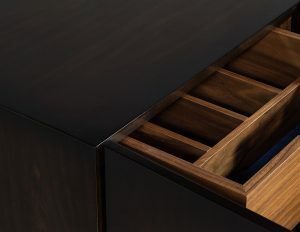 The richly finished walnut drawers have undermount self closing slides and are felt lined with interior dividers. 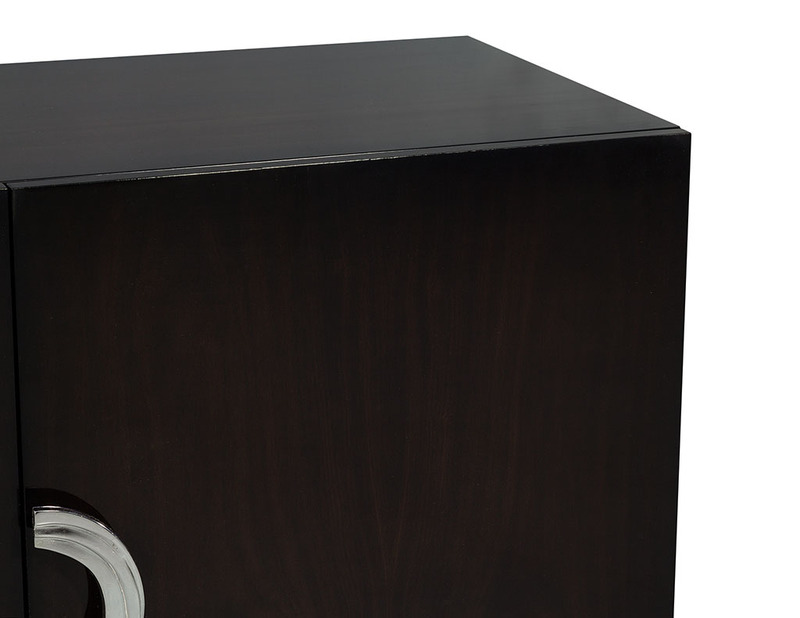 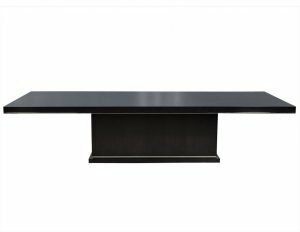 All resting on top of a custom polished stainless-steel tubular frame base. This piece can be custom ordered.